Live Green, Wear Black. : Evergreen Rd Morels! Refurbishing Furniture... Green or Not? 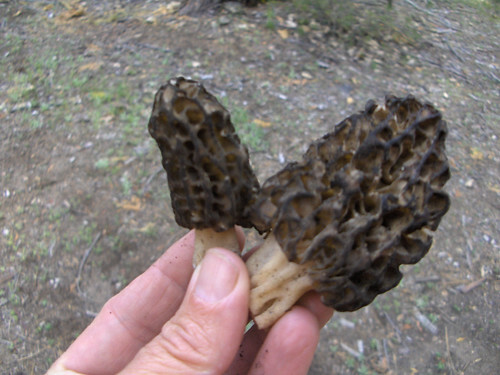 Last week, a last minute invitation was extended to head to the Sierras and go find some morels. 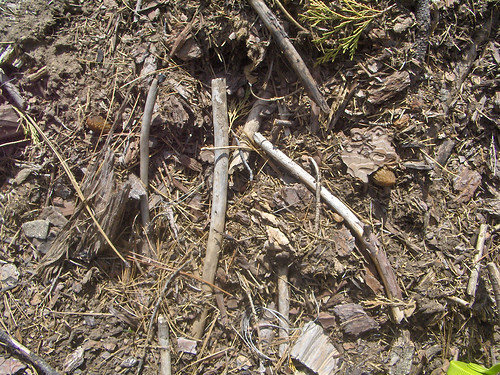 I hopped in my friend's Zipcar, along with another of her friends and we went up to the Stanislaus National Forest to see what the MSSF folks left behind after their 2010 morel foray. From the moment we got to our camp - we hit the jackpot. 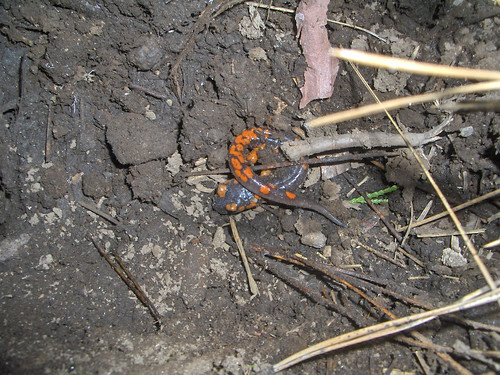 Keith spotted something growing next to the fire pit and plucked up a somewhat darking black morel and ran off to show it to Kathryn before I caught a proper glimpse. 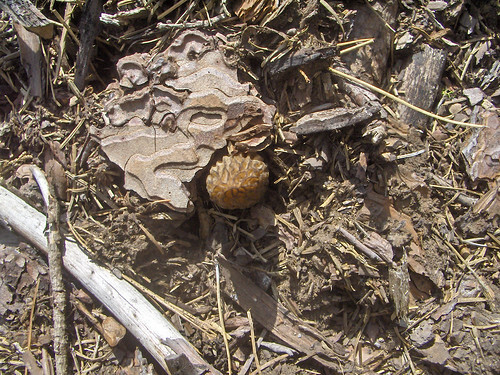 Looking down - I noticed a second morel growing right there! Two morels right at the fire ring? Incredible! 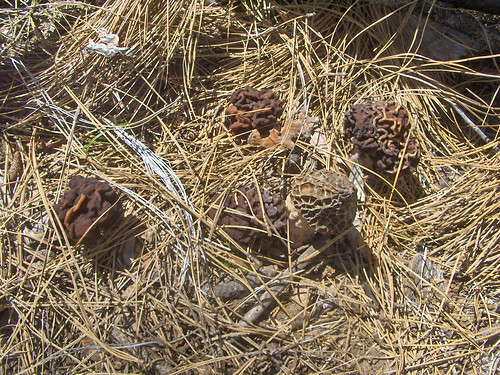 A walk around our camp to the other fire rings proved futile as the other fire rings were all in to frequent or recent use, but on the way back to our somewhat remote site - I found several morels growing right on the side of the driveway in the campground! Walking around in the woods on the residential property of Peachgrowers Grove, I found several gorgeous puffballs as well. The result of 3 the tramping in the woods of 3 people! 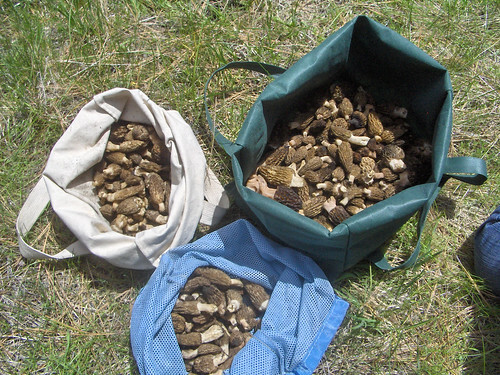 Where should you go look for morels? 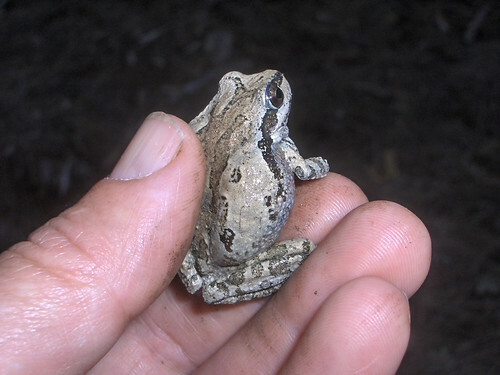 They like pine trees and disturbed soil; any place that you find burn areas - whether a wild fire or a customary spot for burning brush & plant debris for fire management. 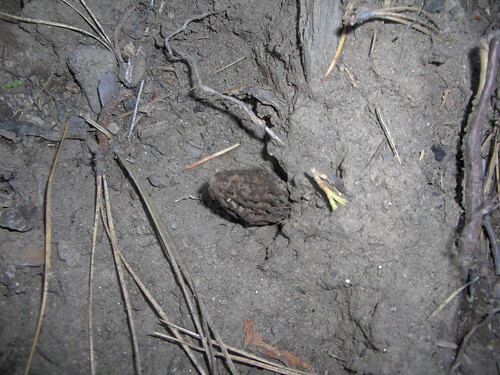 Some current reports are that the morels are happening but moving north and to higher elevations pretty quickly. I have heard one report of a friend near Bear Valley who has pulled over 120 lbs already! Last August's burn in Yuba County interests me - I want to check on the elevations of those burned areas for a target in early June. Failing that - Mt Shasta & Lassen may be good candidates for the second week of June. Are you with me?